Business cards, in colorful and eye-catching designs. Invitations and announcements coordinated to your company’s colors and objectives. Promotional flyers in an array of flashy styles. When it comes to business stationery, MOO has an award-winning history. Unlike a traditional promotional company, this brand takes its paper products to a new level. Forget familiar fonts and standard formatting. MOO customizes every aspect of your business stationery. With a passion for design, MOO weaves together the art of creating and the traditions of business. Since 2006, MOO has been disrupting the traditions of what makes paperwork professional. Thousands of customers have turned to MOO to breathe new life into their projects. Learn more about MOO by reading below or grab a coupon from this page and start shopping! MOO’s motto is “great design for everyone.” The company’s completely customizable print options are a perfect a fit for everyone. MOO and its team can help you design stylish and high-quality print products. All designs will make you and your business look great. The products you use to connect with customers and potential partners matter. With MOO’s design and print services, you can bring custom stationery into your company. Use MOO to find new types of products such as MiniCards and extra-thick luxe paper options. MOO makes reinvention an easy feat. All MOO products and creations are made on premium paper. They only use professional templates all built by in-house designers. You can even incorporate your very own company logo to customize any option. Would like to use your own images or your own company design team? Maybe you want to hand everything over to MOO? This unique print option brings personality to your simplest products. Design matters at MOO. That’s why the company aims to introduce themselves everywhere through social media. You can see a wealth of possibilities available with the company’s services on social media. To discover what they’ve done for other clients, follow MOO on Facebook, Instagram, and Twitter. One of the biggest benefits in following MOO is being the first to hear about the retailer’s biggest sale. The semi-annual sale is the largest of the year and occurs every January and June. This sale offers the most sizeable discount of the entire year on MOO services and products. MOO’s social media are a place to find stories of customers’ creativity and success stories. MOO’s social media team even gives design advice and business networking advice. Discover informative blogs and articles to help improve your business. MOO also shares photos of real people in real industries who use MOO and its paper products. You can see the potential in the company’s design and stationery in just a few clicks. Perhaps even be inspired to overhaul your own business’s look. MOO has an incredibly detailed customer service page. If you encounter an issue, you should get in touch immediately with customer service. From there, a team member will reach out during business hours. The longest any customer will have to wait is one full business day for a reply. The company prides itself on responding quickly and finding solutions without delay. MOO will correct whatever the problem may be. Should they not, the team will instruct you about how to handle a return or refund. To get in touch with customer service you have a few options. You can visit the support page or start a live chat for answers to any questions. Live chat is available 24 hours a day, Monday through Friday. You can also send an email using the online contact form. Do you want a great deal on your next purchase? 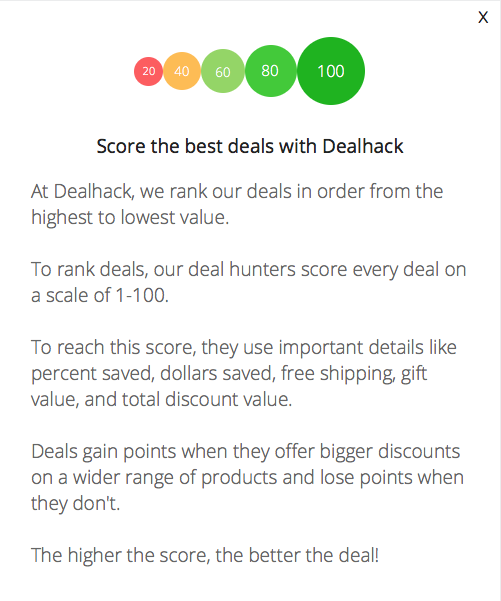 Our coupon experts here at Dealhack are always looking for the best coupons because we all love a great deal. Grab the latest MOO coupon code right here on this page and save today! Every January and June, MOO has a semi-annual sale featuring as much as 25% off products all custom printed products. It’s the best time of the year to stock up on business cards or letterhead, or to revamp all of your company stationery. MOO offers a small benefit for referrals. Customers who refer a friend to MOO will receive a discount off a future order when that friend makes a purchase – and you can refer as many friends as you’d like. If you’re a student preparing to enter the world of business, take advantage of MOO before you graduate. All students get a small discount off every order, helping you to sell yourself and your skills in any kind of profession. Already designed a stationery set with MOO? You can take advantage of lower-priced options such as ordering in bulk to save on refills or reorders – and if you’re a company of 10 or more, you can score discounts on large orders. What is Today’s Best MOO Promo Code? The best MOO promo code right now is 2RJ8RP. This code is for 'New Customers: 15% off $75+ on Personalized Letterhead'. Copy it and enter it on the MOO checkout page to use it. Getting your MOO products, once ready, is easy. MOO offers an online delivery calculator that you can use even before you place your order to determine just how much your customized items will cost. All shipping costs do depend on the total cost of the products you purchase. Shipping options range from next day to nine business days. Keep in mind that the cost of delivery and shipping can be increased based both on your chosen shipping speed and order total. The slower the shipping method, the less you’ll pay in delivery fees. One unusual feature of creating and purchasing business stationery (and other products) through MOO is that this company doesn’t offer returns or exchanges. Because every item you design, partner with MOO to design, or order is custom created for your needs, your business, and your team, MOO cannot accept those items back. Instead, MOO’s customer service team will work with you to correct whatever’s wrong with your items. When problems arise, be it a design flaw or a typo, MOO will help to send replacement products, an entirely new set, or even issue a refund if the problem cannot be solved.